Professor Vishnu Padayachee is currently Distinguished Professor and Derek Schrier and Cecily Cameron Chair in Development Economics, in the School of Economic and Business Sciences at the University of the Witwatersrand, Johannesburg. He also holds the position of Professor Emeritus in the School of Built Environment and Development Studies at the University of KwaZulu-Natal. He is a (life) Fellow at the Stellenbosch Institute for Advanced Studies (STIAS, 2011) and a (life) Fellow of the University of KwaZulu-Natal in recognition of distinguished service to the University. He is a member of the Royal Society of South Africa (from 24 October 2012 (MRSSAf) and was elected to the Institute of Directors of South Africa (M.Inst. D) from 24 August 2012. His books include “Indian workers and trades unions in Natal, 1930-1950” (1985, co-author); “(D) urban Vortex” (2002, co-editor); “Blacks in Whites: A Century of Cricket Struggles in KwaZulu-Natal” (2003, co-author); and “The Development Decade? economic and social change in South Africa, 1994-2004 (2006). His edited book ‘The Political Economy of Africa” (Routledge, London) was released in April 2010. His book-length and edited manuscript entitled “Capitalism of a special type? South African capitalism before and after 1994”, was published as a special double issue of the accredited journal Transformation 81/2 (2013). He served on the editorial Advisory Board of the leading journal World Development for over a decade, until his term ended in 2013, and he still serves on the editorial advisory boards of The Journal of Contemporary African Studies, and Transformation. 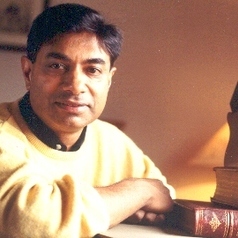 He has held visiting fellowships in Europe and the USA, including the Paul H Nitze School for Advanced International Studies (SAIS) at Johns Hopkins University (USA) (1985/6); the Christian Michelsen Institute in Bergen, Norway (1993); and Robinson College and the Judge Institute of Management Studies (now Judge Business School) both at Cambridge University (1995/6). He also held a (non-resident) three-year appointment as Visiting Professor in the School of Management at Birkbeck College, University of London until February 2004. He was for many years an African Associate at Cambridge University's African Studies Centre, and an Associate Member of the Social Policy Department at Oxford University. He was a (non-resident) Fellow at Kellogg College, Oxford University between 2011-2013.